One of the cleanest places we’ve ever stayed! Great location, steps away from restaurants and shopping and the lake. 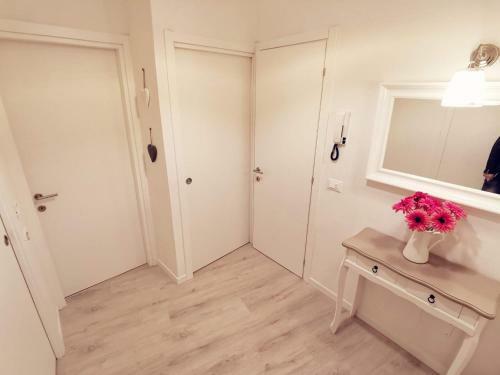 Parking is a few minutes walk away in a secure underground private parking. We will definitely stay here again! Excellent location at a few meters from the water line in the browsing centre of the village. 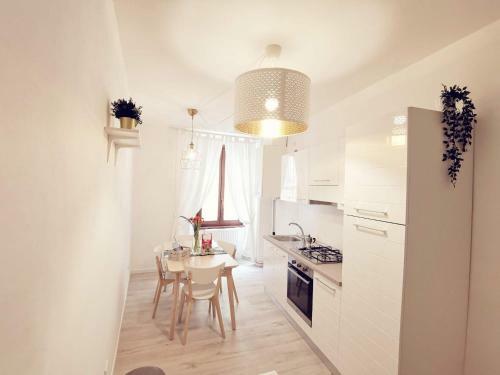 Newly renovated flat equipped with all modern comfort to have a worry free stay. The private parking space was also a luxury coming home from a day of discovering the environment of the lakes. 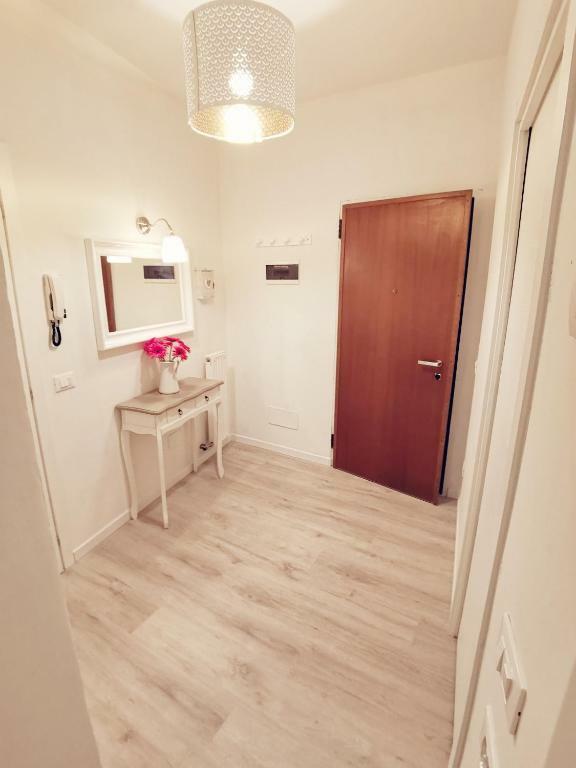 Very clean Apartment, friendly owners and superb location. Very clean, location is great, very easy-going apartment. Parking place in underground parking free of charge. Great restaurant very close to the apartment. The hosts were super friendly and helpful. Place is in an ideal location and clean. Hope to see you again soon. Ottima posizione,appartamento pulitissimo fornito di cucina,forno,tostapane ,lavastoviglie e tutte le stoviglie utili. Pulito, moderno, comodo, accogliente, personale gentile e disponibile. Posizione al centro città e nello stesso tempo tranquillo. .
La posizione centrale e la disponibilità dei proprietari. Очень уютный апартамент со свежим ремонтом и обстановкой, в апартаменте всё новое, нас ждали брошюры по местным достопримечательностям. Расположение в пешеходной части старого города и совсем рядом с озером. Было тихо. Хозяин апартамента очень много помогал информацией как лучше добраться на общественном транспорте (Мы ехали из аэропорта Бергамо). 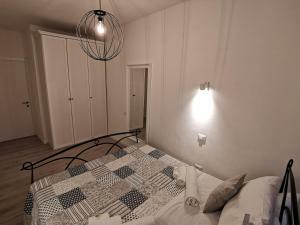 Appartamento pulitissimo, al 4 piano con ascensore, ben organizzato e dotato di tutto il necessario. Consiglio a tutte le famiglie con bimbi piccoli. Fantastici i giochi trovati in casa per la mia bimba di due anni e mezzo; si è divertita tantissimo sia in giro che in appartamento. Ottima posizione, centrale e allo stesso tempo silenziosa. Proprietaria sempre disponibile sia via mail che con whatsapp. Facili e veloci il check in e il check out “in autonomia” che non avevamo mai provato,ma super comodi. 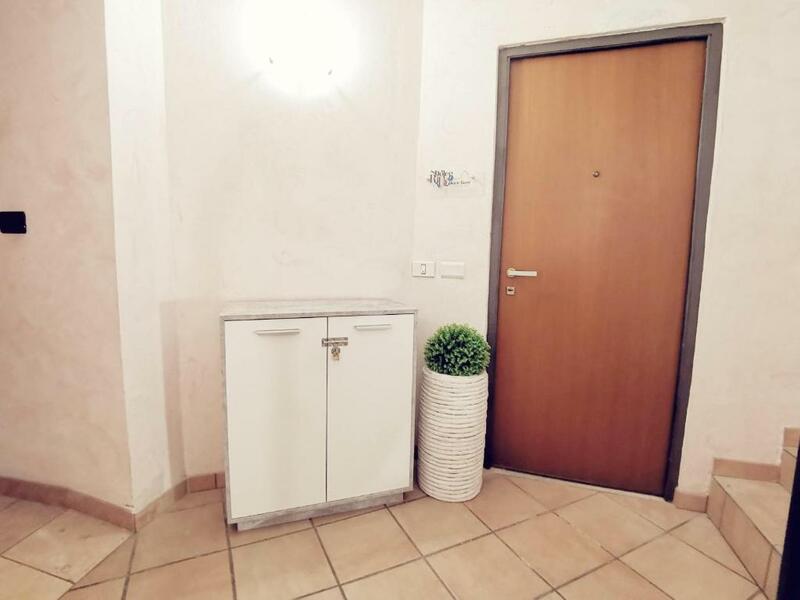 Consiglio di prenotare il parcheggio gratuito riservato perché dista a pochi passi dall’appartamento; ovunque ci sono parcheggi, ma sono a pagamento. Grazie mille a Elisa per il week end rilassante che abbiamo trascorso. Torneremo sicuramente! 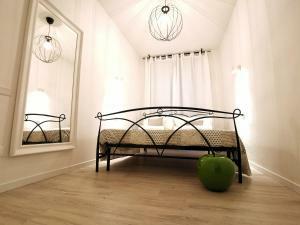 Lock in a great price for Dolce Riva Downtown apartment – rated 9.7 by recent guests! One of our best sellers in Riva del Garda! 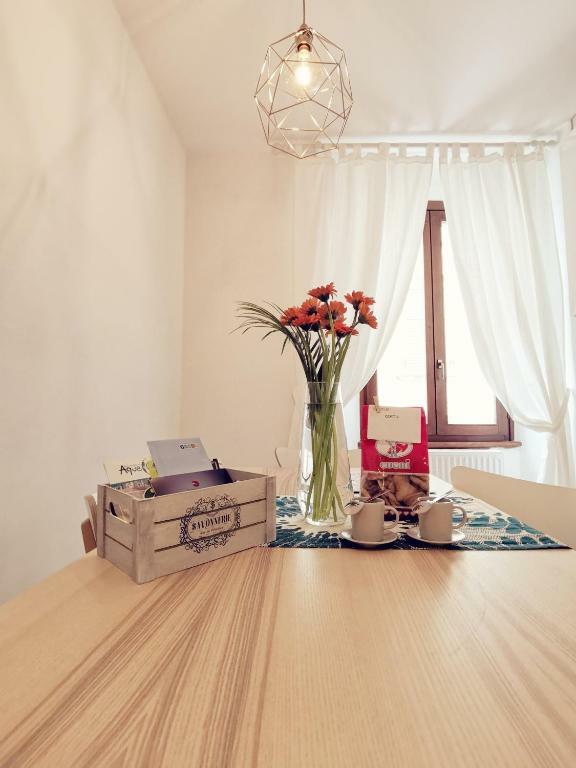 Located in Riva del Garda, Dolce Riva Downtown apartment provides accommodations with free WiFi and flat-screen TV. Each unit is fitted with air conditioning, a private bathroom and a kitchen. A dishwasher and oven are also featured, as well as an electric tea pot. Varone Waterfall is 2.1 miles from Dolce Riva Downtown apartment, while Congress Centre is an 18-minute walk away. Villafranca Airport is 52 miles from the property. 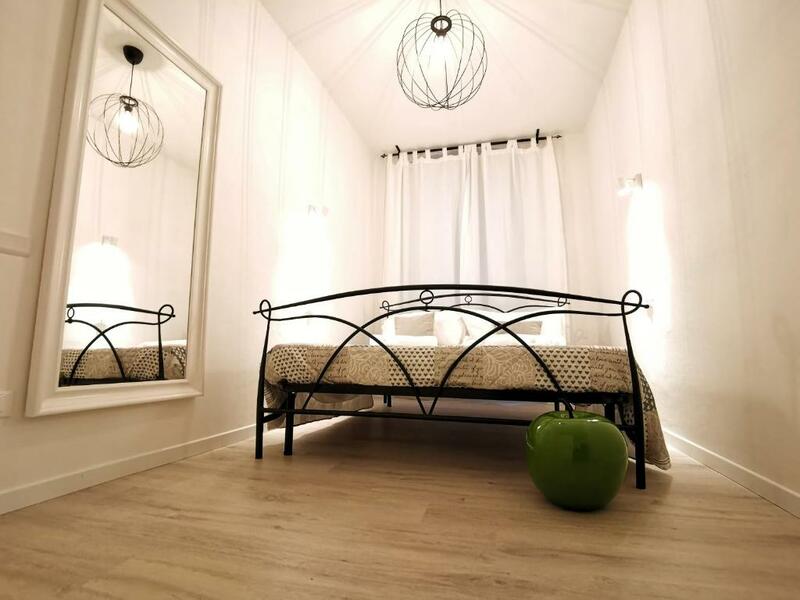 This property also has one of the top-rated locations in Riva del Garda! Guests are happier about it compared to other properties in the area. This property is also rated for the best value in Riva del Garda! Guests are getting more for their money when compared to other properties in this city. 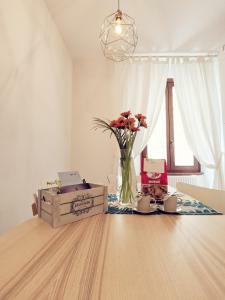 뀐 Located in the top-rated area in Riva del Garda, this property has an excellent location score of 9.9! 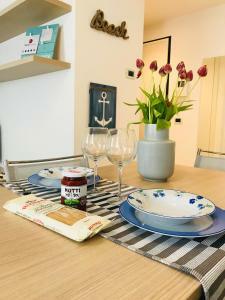 When would you like to stay at Dolce Riva Downtown apartment? 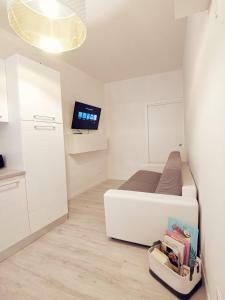 Dolce Riva Downtown apartment è uno splendido appartamento moderno dettagliatamente pensato per il benessere degli ospiti, dotato di tutti i confort! Dopo la prenotazione riceverai la guida del self check in & il manuale della casa! L’appartamento si trova nel cuore della città, a due passi dal lago. Elisa, mamma di due splendide bambine Carlotta e Alessandra. Mio marito Emanuele mi supporta e aiuta nella gestione dell'appartamento. 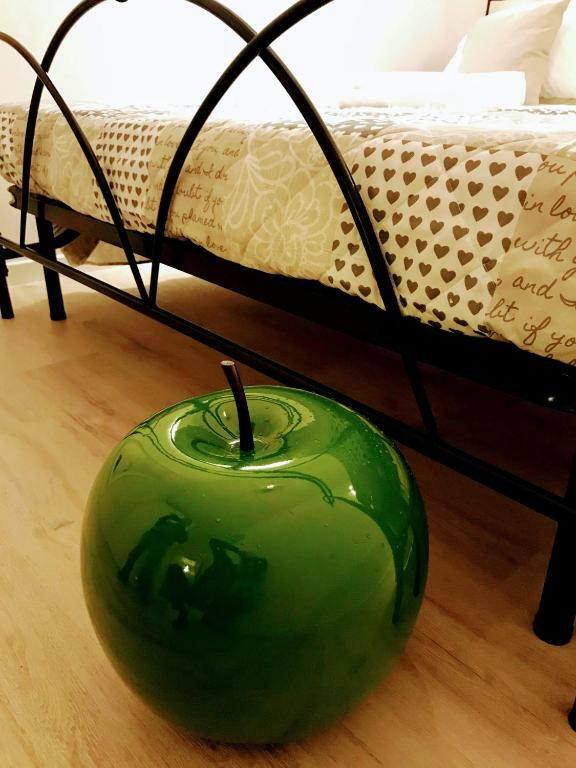 House Rules Dolce Riva Downtown apartment takes special requests – add in the next step! A EUR150 damage deposit is required 7 days before arrival (about USD169.54). This deposit will be fully refunded 7 days after check-out, as long as there isn't any damage to the property. Please inform Dolce Riva Downtown apartment of your expected arrival time in advance. You can use the Special Requests box when booking, or contact the property directly using the contact details in your confirmation. A damage deposit of EUR 150 is required. The host charges this 7 days before arrival. That's about 169.54USD. This will be collected by PayPal. You should be reimbursed within 7 days of check-out. Your deposit will be refunded in full by PayPal, subject to an inspection of the property. It was a little difficult to get the key from the safe but we were able to do so after 10 mins of trying! Cold floor for the winter. Would be nice to have a carpet. Nice and cozy. Great location. More as an information not a complain. There is no possibility to park close to the apartment, because is a pedestrian area. The closest you can get is ca.200meters and the parking place in the underground carpark (free of charge for guests) is ca.400meter from the apartment. There is absolutely no views from the apartment, by the window there is another building 3 meters away, so the apartment is a bit dark. As the climate can be fairly hot and humid in July around the lake I would have loved to have a cooling system in the flat. This is really the only thing I could imagine that could increase the quality of this nice flat indeed. However this would not keep us from coming back next time we spend time in the neighbourhood.